Have visited on numerous occasions for various medical conditions and have always come away really impressed by the staff at all levels for their kindness, attention and humanity and would like to express my deep felt thanks to each and everyone of them. Waiting times are very erratic, from being immediate to up to three hours. One other comment I feel I should make, it is regarding the removal of hand dispensers for antiseptic gel (not sure of correct terminology). There used to be dispensers at the entrance and at critical points throughout the hospital? These have mostly all disappeared, yet I read in the press, that hospital based infections are on the increase??? 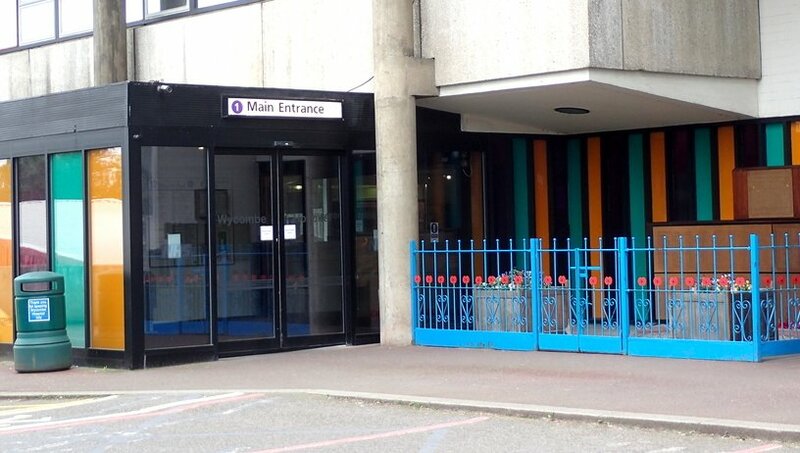 I attended Wycombe Hospital outpatients (ophthalmology) for my five year old sons eye check up. The receptionist was very friendly and directed us to the appropriate waiting bay. We arrived 20 minutes early for our appointment, and we had only been sat down for two minutes before my son was called for his appointment. The Ophthalmologist was excellent. She was brilliant with my son, and very clear with letting me know the results of his test. They should be commended for their professionalism and respect for young children. An absolutely fantastic team taking care of my sons eyesight! Visited MIIU recently with child and possible fracture. Whilst the treatment etc was fine, there is no attempt to manage expectations for those who haven’t been before and so don’t know exactly what happens next. You move from receptionist to nurse to X ray back to doctor(?) but no one explains the process in advance or how long it might all take. It will take whatever time it has to, and obviously, there will be some cases which take priority. However, it would be less frustrating if some communication could take place about expected waiting times, updates and what to expect. I was diagnosed with cancer in 2013. Everyone from the cleaner to the consultant was amazing and gave me 110%….. Great treatment and I’ve now just had my 5 years of being clear. I visited High Wycombe Hospital on 12th Sept for a colonoscopy check for men over 55. To say I was nervous would be an understatement, I was terrified, scared of the procedure and the possible outcome, but can honestly say the team within the Endoscopy department were excellent. From the registration where everything that was about to happen together with the possible outcomes was explained in detail. The medical team who preformed the procedure were quite outstanding in completing what isn’t the nicest of checks. Thank you for helping me through this experience, and to anybody who may be having the check, go and get it done. X-ray services and antinatal clinic services. All my appointments arrive in writing and text message on time. The pharmacy services can take up to 45 mins. So mentally prepare yourself. Blood test can take up to an hour, work out the average time and go for a walk grab a smoothie take a book. Don’t just sit there fraustarting yourself looking at counter. Again mentally prepare yourself for the wait. I have always got parking, leave early and have a back up plan should you not get parking. I prepare by taking change with me, there is an atm cash point inside, i find the staff helpful polite and friendly. It’s actually ok considering I fear hospitals. The lifts need a upgrade but overall it’s really not that bad. What’s bad is the cheap packaging on the medication, they really have cut the budget there which is a shame. Well done to the teams your doing a great job and it has a great sense of community when hanging around the downstairs lobby area. Hospitals in London just don’t have that sense of community sadly. Get well soon who ever goes there. Outpatients: Orthopedic, X-Ray, Physiotherapy, and Pathology. I managed to achieve what I needed in these four departments in just 1½ hours. This was due to the efficiency and professionalism of the staff in each of the departments. I was also struck by the cheerfulness of the staff, smiling and positive. All were crowded but were doing everything they could to meet the needs of the patients. Orthopedic / Trauma is a very busy department where I had a replacement half elbow last December. The consultants are ‘can do’ and the nurses highly professional and super helpful. X-Ray is a totally different culture to a few years ago, patient turn-around is rapid, smiling staff very efficient. Can’t speak highly enough of the Physiotherapy Department, such caring friendly practitioners and admin. Pathology is the Cinderella dept, understaffed, but they do their best. Honestly, I was smiling for the rest of the day following my visit. I spent a couple of nights at the Urology ward. Overall the experience was good and the staff were helpful (the ward was very empty at the time on the women’s side). One piece of feedback I would have was that I was stuck in bed – and my children came to see me. It was made clear that they were not allowed onto the ward and I should see them in a separate room which is for relative visits etc. It made me wonder what I would have done if I had been stuck in bed for longer and was not able to see them at all. It would be nice if children were allowed to see their relatives on the wards – even if it is at a specific time. I have been dealing with SG for the last few days. I would like to say how wonderful she has been and has gone above and beyond the call of duty in respect of my care. She has helped me as much as feasibly possible to get the appointment I needed for my baby’s scan next week. I would stress that her customer service is BRILLIANT and in my extensive experience I have not dealt with anyone that has a genuine concern for a patients welfare. She is BRILLIANT at her job and should be given a pay rise, commendation or both in fact. You do not get many human beings that do such a good job in this day and age, and she certainly needs to be recognised for her endeavours!! I have tried to get a blood test at Wycombe Hospital 3 times this past week. The ONLY parking available was in the 10 minute drop off spots (and this after queuing just to get onto the hospital campus) – however I was told, each time, that the wait time for blood tests was likely to be at least 15 to 20 minutes. So, no blood tests. I do genuinely wonder whether this hospital is being set up to fail, as so many services are moved away from it. I would also point out that the parking charges there are now at least £3.50 if one needs to be more than 30 minutues, which I find outrageous. On the morning of 18th I fainted at home. On the advice of my surgery my wife dialled 999. The paramedics arrived within 10 minutes. They were professional and sympathetic. They checked me over, got in touch with the cardiology unit at Wycombe and took me there in the ambulance. When I arrived a junior doctor was waiting for me and I was taken straight in for further tests and check-ups, including a chest X-Ray. Everyone I dealt with – the junior Doctor, a number of different nurses, an orderly who brought me a lovely lunch of a sandwich and yoghurt, the staff in the X-Ray department, the two porters who wheeled me around, the registrar I saw before being discharged – were kind and professional. On discharge, I was completely reassured that nothing serious was amiss and that I needed to rest to recover from this viral infection. I was pleased to receive the discharge letter there and then, and to know that a copy had been sent to my GP surgery in Hughenden Valley as well. Had bowel cancer and was operated on by Mr Goede, who was an excellent, dedicated, caring surgeon. All the departments I came in contact with were well organised and the staff were all very caring. Ward 12a was excellent, all the staff were wonderful. Thank you all very much. Went for routine blood test. Had rung previously to find when quietest times were, which was lunchtime. Was seen more quickly than anticipated and blood taken very quickly. I did however find it hard to find the clinic – there was some signposting, but having to pick one’s way past building works and cross roads where there are no clear crossing points did make me wonder on a number of occasions if I was heading in the right direction. Went for a consultant apt at one of the clinics. Ended up being seen an hour after my appointment time – don’t mind being delayed, but the receptionist could so easily have mentioned that things were running late and kept the waiting room up to date. Went for an x-ray – arrived early – and was treated early. Staff polite and efficient. Visited Wycombe Birth Centre and the pathology department. Staff friendly and helpful, appointments were on time and the premises was clean. Only issue was that the both departments were exceedingly warm. My GP spotted that I had a rising PSA score and referred me to Wycombe Hospital Urology Department which arranged for a meeting with a consultant , MRI using the Scannappeal equipment , ultrasound and prostate biopsies and then a follow up meeting . So how did it all go ? It was from start to finish absolutely top notch , very friendly and professional . The consultant was very open , informative and expained the options clearly , the MRI equipment and team were the best that I have encountered , the ultrasound and prostate biopsies were expertly performed by an excellent team of four and I experienced no pain or after affects at all . Also the follow up urology oncology meeting was handled very well .I was particularly impressed by the sheer friendliness of all the medics , the consultant’s secretary and by the reception at the urology investigations section . I must also commend the team and communication skills displayed by everyone encountered , the panache of the consultant and the cleanliness and quality of all the facilities . Well done the NHS and Wycombe Hospital ! Attended the antenatal clinic for my 20 week pregnancy scan. The reception staff were friendly and informative. The sonographer explained everything really well throughout the scan and she was very reassuring, she tried her very best to complete the scan despite the baby not being in the most convenient position. They quickly arranged another scan for me in a few weeks time so they can complete the rest of the scan. I left feeling reassured and well informed. Had a sporting injury, went along, was in and out so quickly after seeing the GP didn’t even have to pay for parking! When my much wanted baby was suspected to have a abnormality at the 12 week scan, the sonographer told me that she suspected there to be something very wrong with my baby but there was no one available to talk to me so just go home & enjoy the bank holiday weekend. I left your hospital utterly devistated, confused & feeling very alone & uncared for! You have to wait along time for prescriptions but the overall service that I have experienced is good. The support from the midwives at the birth centre have been exceptional. An A&E service in High Wycombe is needed. If local you have to travel quite far to get to the nearest service. After having a TIA, the doctors dealt with it straight away and referred me to a surgery so that I could have an immediate scan. Within days I had a consultation meeting and it was all done within the local hospital. They are always a brilliant service. Excellent Breast Clinic service. Very quick referral. Professional and friendly staff. Knowledgeable and helpful medical people. Antenatal Care – I had my booking appointment with my midwife at the end of August. In this appointment she requested my scans. When a few weeks later, the letter informing me of the date of the scan had still not arrived I mentioned to my midwife that I had not received a letter. She assured me she had requested them. I waited a little while longer until contacting her again to chase it up. Very helpfully she did chase it up and rang me to tell me the dates of my 12 week and 20 week scan. She told me a letter would be with me very shortly. Now, just under a week later the letter has not arrived, and I was advised to ring the antenatal clinic at Wycombe Hospital to double check the time and date. If it were not for my midwife I would not be aware of the date of my first scan – and I would certainly have missed my appointment simply because I had not been informed via letter. I wanted to leave feedback since seeing something on facebook about Wycombe Hospital slowly closing down. In August 2013, my husband had an MI (heart attack). Had he been taken to Stoke Mandeville, he would have died. Had be been taken to Wexham Park, he would have died. But he was taken to Wycombe, where he was given immediate and life saving surgery and he survived. He was 55 years old at the time. I can’t tell you how important it is to have vital LOCAL services. Stoke Mandeville is not near High Wycombe and there isn’t a good road network between Wycombe and Stoke Mandeville. My overall point is that the reduction of services at Wycombe is just a means of closing it by stealth. Understaffing it means that CQC inspectors rate Wycombe Hospital with “requires improvement” but the investment is not there to enable the staff to improve their service. The people making these decisions do not care about who lives and who dies. I was diagnosed with breast cancer at Wycombe’s One Stop breast unit. Had two surgeries and chemo at Wycombe. Excellent care on the whole. But I think my assigned Breast Care Nurse is overloaded. I think Wycombe needs more of them. There are only four I believe, yet treatment goes on for up to ten years so they have too many patients. How does the Care Quality Commission rate Wycombe Hospital? I took my son in as I thought he had broken his arm. He was looked after amazingly by all departments - we were so grateful. I was admitted to SMH following a head injury. The care I received was outstanding. My family was also given the very best support. I am eternally grateful.